Email me at whatkatydiddesign (at) gmail.com, and i will email you the pdf tutorial within a day. It is 12 pages long with instructional drawing and photos. I would love to here feedback from anybody who makes one, was it easy to understand, could i improve any instructions. You are all my guinea pigs! I was given a Nintendo DS by my husband for my birthday (one of those presents that you know the giver is just as excited about getting - and using - as the receiver). The first thing I had to do, after I played Brain Train and Sonic for hours, was make a pouch to keep it in. I posted a picture of it here and Heather asked me to make her one to put in our swap. So i thought maybe there might be some other people out there interested in making one to! 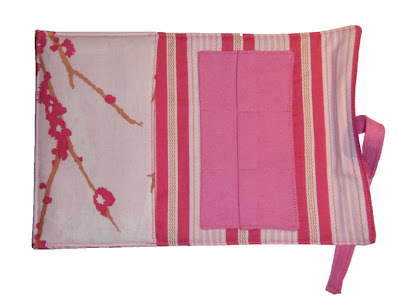 This finished pouch is available, maybe we could do a swap, just leave a comment if you are interested. Also don't forget to enter my giveaway here, only 3 days to go!. Super exciting! I love first tutorials!!! This is super useful too. 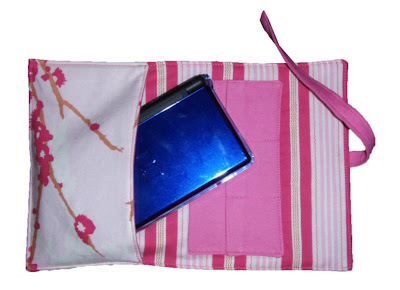 I usually toss my DS into my bag, I should totally make this! I'll be linking to this project as well. That is so cool. 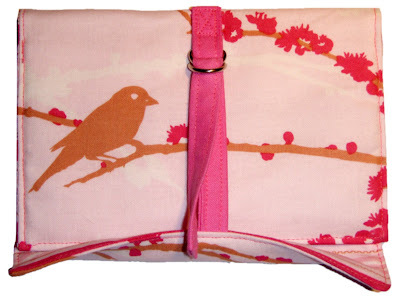 I have that sparrow fabric, I wish I had the stripe though, it looks so sweet. Very clever and very cute! You must be very clever and crafty. I love it when people can design the perfect thingamy to do something particular. Hi, came via WTBAY, very creative! I dont have a DS myself, but it looks good. Hi, I just found your tute via One Pretty Thing - perfect timing, as I need to whip up some quick gifts for some girls in the Uk who are glued to their DS's! Quick question (from someone who does not have a DS) - what are the measurements of the DS and the games? That would be a handy edit on the tute for those of use who don't have them.